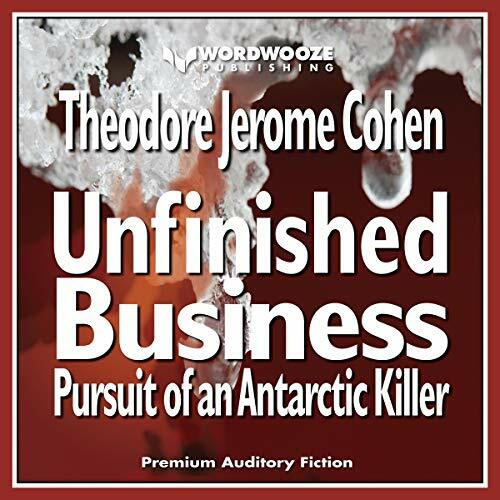 Unfinished Business: Pursuit of an Antarctic Killer is Book II of The Antarctic Murders Trilogy. It continues the story of Captain Roberto Muoz of the Lientur and the hunt for the millions of dollars in US and British cash, negotiable securities, gold coins, and jewelry that were stolen from the Banco Central de Chile following the Chilean Earthquake of May, 1960. The story of the theft and murders that followed is told in Book I: Frozen in Time: Murder at the Bottom of the World. Unfinished Business introduces Captain Mateo Valderas and Lieutenant-Commander Antonio Del Ro of the Chilean Navys Office of Internal Affairs. They have been sent to Arica, Chile, where the Lientur is undergoing repairs, to solve a murder that took place on the naval base. Their investigations uncover evidence that leads them to someone who is determined to settle old scores and wrap up unfinished business on two continents - South America and Antarctica.